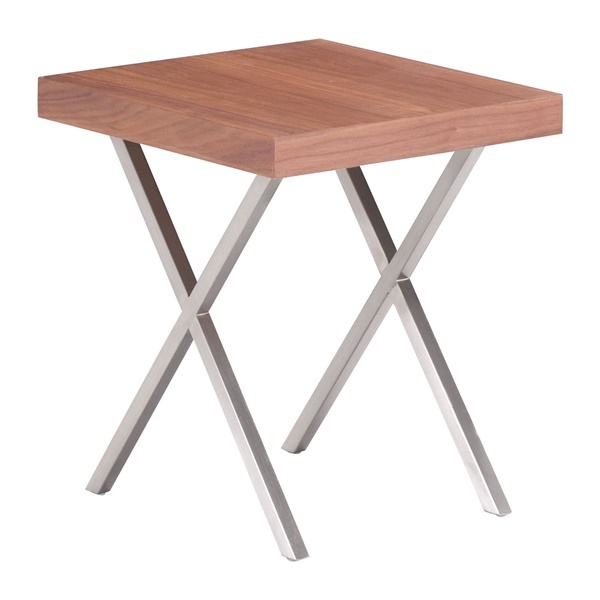 Accentuate your space with the chic design of the Renmen Side Table by Zuo Modern. Its square-shaped surface is handcrafted from MDF and finished with wood veneer, resulting in a rich walnut tone. The brushed stainless steel legs are X-shaped for added interest. Ideal for displaying lamps, photos, books and magazines, this sleek piece will replace a bulky outdated end table and freshen your interior. The Renmen Side Table by Zuo Modern works perfectly in tandem with other pieces from the Renmen collection.